Boil the potato and mashed it completely. To the mashed potato,add all the dry spices and chopped cilantro.Mix well. Place a pan on the flame and add oil into it. When oil heats up, add chopped onion and chopped mushroom.Saute it for about 2 minutes. Then add onion mixture into potato mixture.Mix well and divide the mixture into 4 parts. 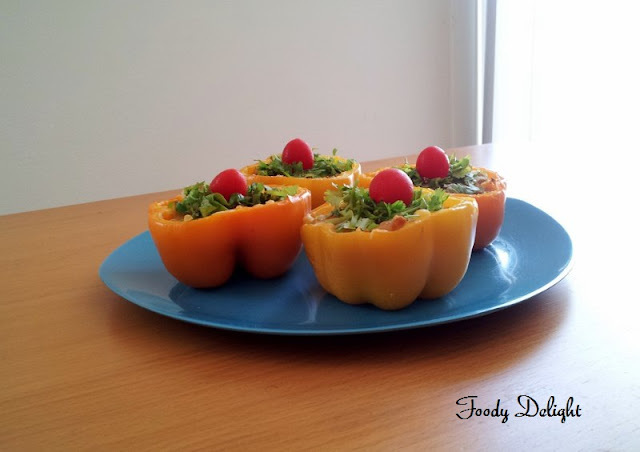 Slice the top of the coloured peppers and remove all the seeds from it, to make a cups. Stuff the filling mixture into the coloured peppers pushing down with the spoon so that peppers are tightly stuffed. On the stuffed pepper spread grated cheese. Place the stuffed peppers into the greased tray and bake them for about 25 to 30 minutes. 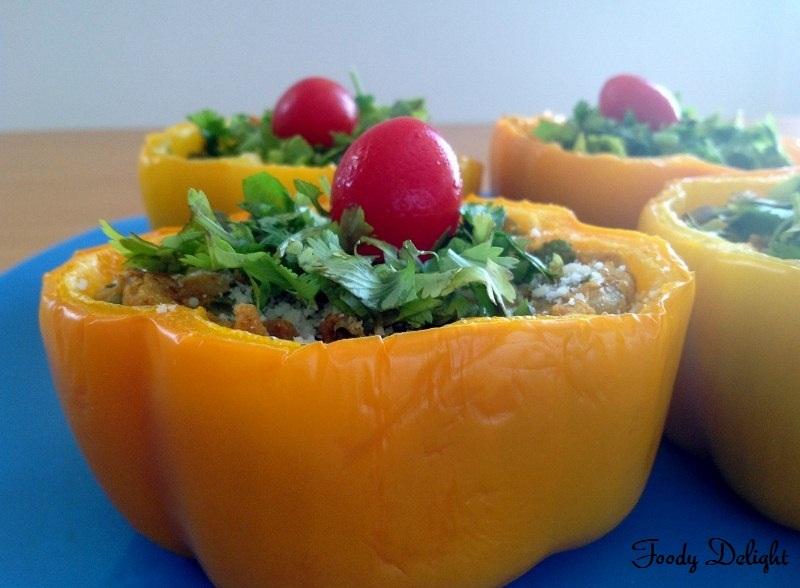 Stuffed peppers are ready to serve hot. If you do not want the cheese to be added,you can skip it. For some I have added the cheese and for some I have not added the cheese.You can look it in the images. 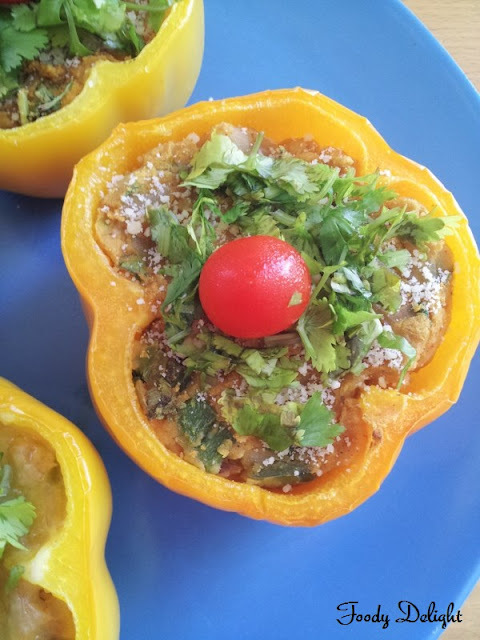 I prefer peppers that are stuffed raw because precooking the peppers before stuffing makes the pepper too soft, which I do not like. If you want your peppers to be soft you can still bake till your peppers are soft. This looks awesome, cute presentation. This looks completely perfect! 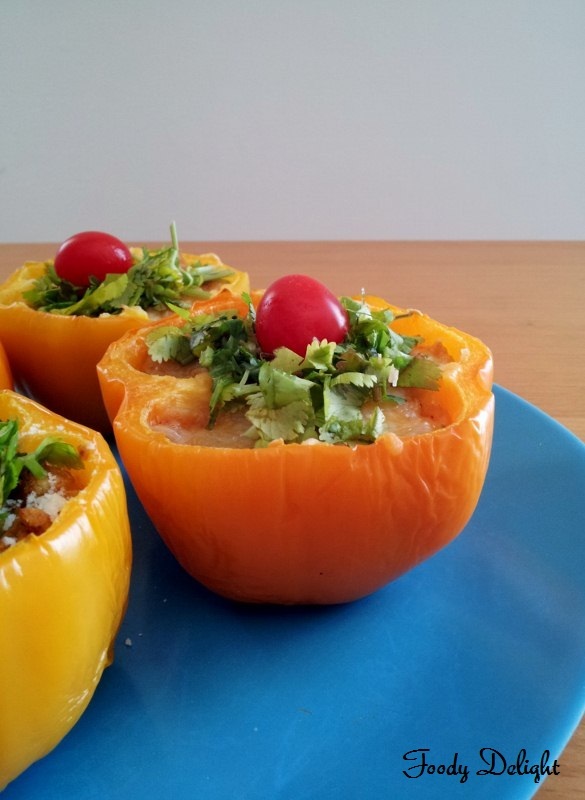 Love the combination of bell peppers and potato. Thanks Manju. No problem you can try this recipe next time. This is very delicious. The peppers look inviting. Thanks for stopping by my blog. I will love to spend some time learning some of your recipes. 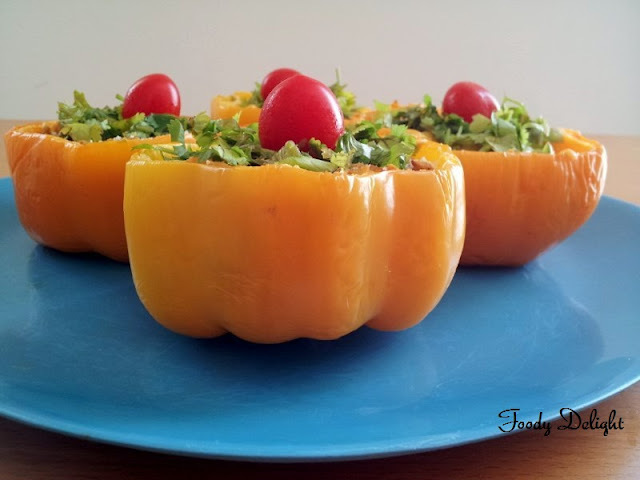 stuffed peppers r looking awesome and lovely presentation. Very very nice! 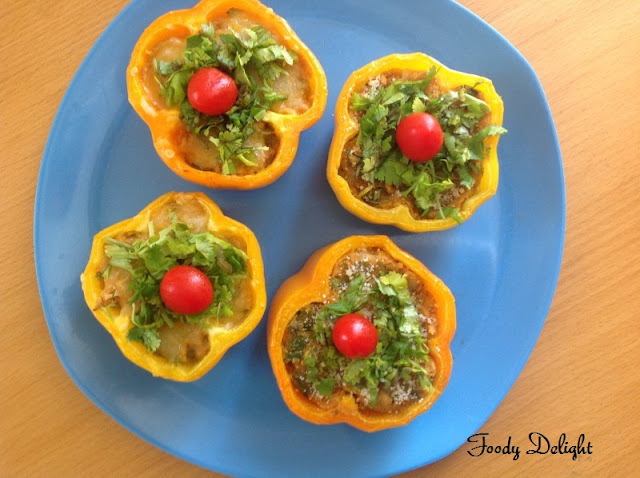 glad to follow u Pranjali.. hope to see such recipes from you in future..
wow dats a beautiful dish...glad to follow u ! !